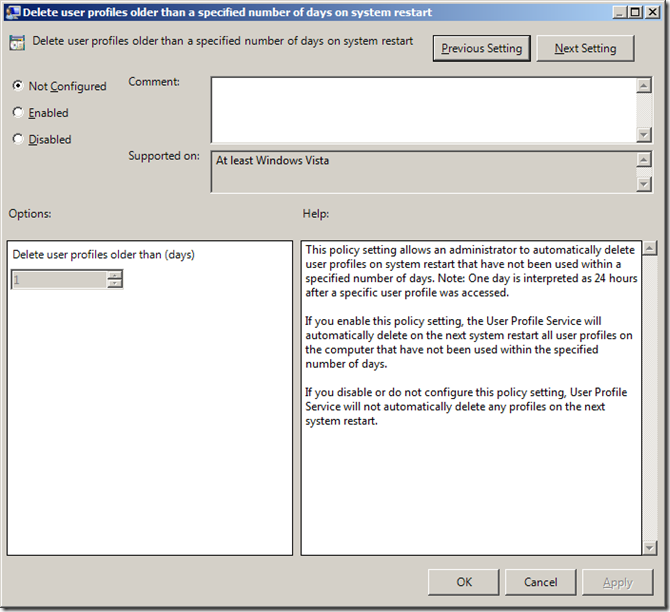 ← See my Group Policy article re-published Here and HERE!! 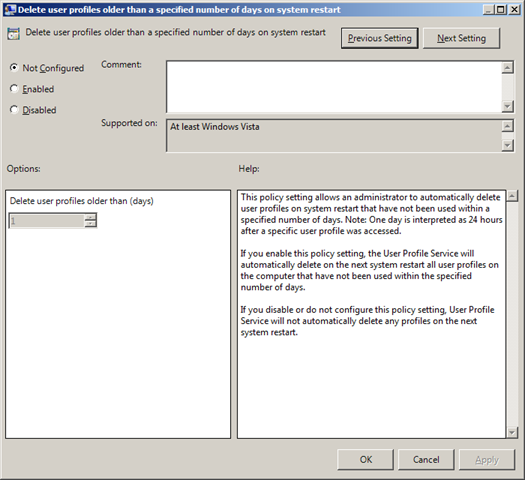 According to the accompanied text; If you enable this policy setting, the User Profile Service will automatically delete on the next system restart all user profiles on the computer that have not been used within the specified number of day. I’m worried that this does apply to all profiles including local? This because a local profile will become ‘roaming’ and therefore subject to deletion. Again, this is not tested by myself but I noticed that a local profile became roaming. Is there any way to exclude a profile from being deleted? Our Shoretel phone system application has to be reinstalled everytime the local administrator (the account used to install) profile is deleted.